HUGE PRICE REDUCTION! PRICED TO SELL!! WOW! Move-In Ready Home close to Clearwater Beach!! 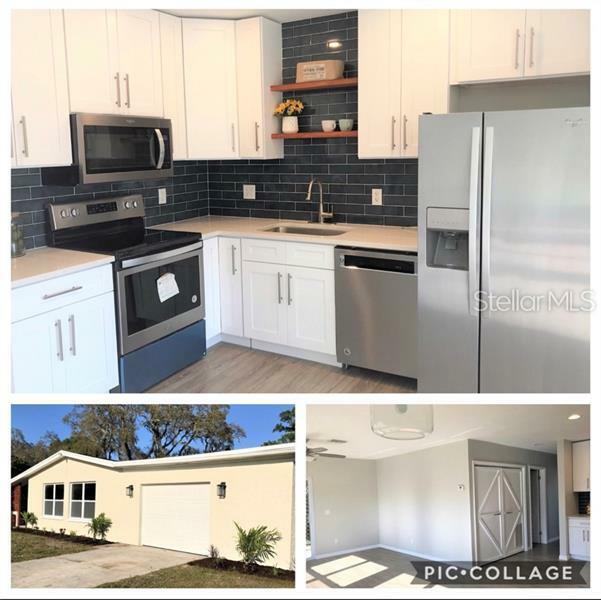 Nothing went untouched in this Completely Remodeled 3 Bedroom/ 1.5 Bath/ 1 Car Garage Home. This Home is Approved through the Home Partners of America's Rent to Own Program!! This home offers an Open Floorplan w/ High Ceilings & Large Windows for Natural Light. New Windows & Slider (2019), Beautiful Laminate Wood Flooring Throughout (2019), Light Fixtures & Ceiling Fans (2019), & much more upgrades in 2019! The Stunning Kitchen has 42" Cabinets, SS Whirlpool Appliances, Quartz Countertops, Blue Subway Tile Backsplash, Large Farm Sink, Custom Shelving, & Large Closet Pantry. All 3 Bedrooms have Custom Cabinetry in Closets. The Master Bathroom has New Octagon Shaped Porcelain Tile Floors, New Vanity, New Light Fixture, New Toilet, & New Shiplap Backsplash. The 2nd Bathroom has New Octagon Ceramic Tile Floors, Custom Shelving, New 48" Vanity & Top, New Light Fixture, & New Toilet. Freshly Painted Interior & Exterior (2019). New Landscaping (2019). The Garage Addition was Completed 03/2019! Roof is 12/2017. 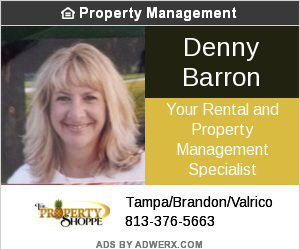 No Flood Zone, No HOA Fees, No CDD's, No Deed Restrictions. The home has ample space to park an RV, Boat, Motorcycles, etc!